Our companies Certificate of Registeration. SMERA Ratings Ltd (SMERA) is a full service credit rating agency exclusively set up for micro, small and medium enterprises (MSME) in India and has grown to rate SME, mid & large corporate . 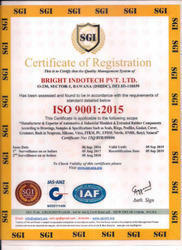 It provides ratings which enable MSME, SMEs,Corporates to raise bank loans at competitive rates of interest. 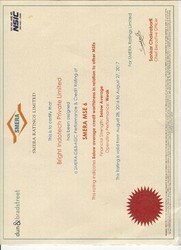 However, its registration with Securities and Exchange Board of India (SEBI), as a Credit Rating Agency and accreditation by Reserve Bank of India (RBI), in September 2012 as an external credit assessment institution (ECAI) to rate bank loan ratings under Basel II guidelines has paved way for SMERA to rate/grade various instruments such as: IPO, NCDs, Commercial Papers, Bonds, Security Receipts, Fixed Deposits etc. In addition to this, RBI has told that Banks may use ratings of bank facilities (Bank Loan Ratings) from SMERA, to assign risks to loans for the purpose of computing capital adequacy requirements.